The new lease kicks off extensive interior renovations to the building. The new lease execution will kick off core interior renovations. Kelly Villanueva, head of business development for Hem + Spire will oversee all building renovations and tenant upfits. Renovations will include a new building entrance, a complete reconfigured lobby, as well as a new HVAC system for the entire building. New tenant amenities include a break room and wellness room off the lobby with new finishes throughout. This second renovation phase of the building, including tenant build-out, will total more than $1.5 million. MHAworks will lead architectural efforts, Riggs – Harrod Builders will construct the renovations and project management will be overseen by Trademark Properties. The tenant was represented by Ryan Lawrence of Jones Lang LaSalle. 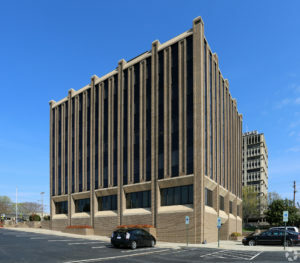 To view a complete listing of available commercial real estate properties in the Triangle, visit www.trademarkproperties.com. Sale and lease listings include detailed information regarding price, square footage, and location. TradeMark Properties offers a full range of real estate and investment advisory services. From acquisition evaluation and due diligence tasks, through value enhancement and disposition strategies, TradeMarkguides its clients through every phase of real estate investment opportunities. Partnering with strategic alliances, TradeMark offers coordination of services such as equity development, financing, credit management, architectural and engineering services, development or project management oversight, and relocation services. TradeMark is organized around advisory services, such as sales, leasing, and asset management, including facility management and maintenance services. Its advisors are market experts in their areas of industry specialization, which include commercial leasing of office, industrial, retail as well as multi-family and investment property sales.